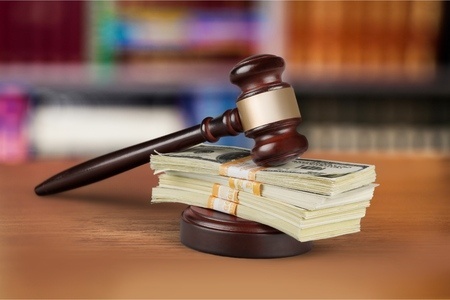 A unit of pharmaceutical company Warner Chilcott has agreed to plead guilty to healthcare fraud, and will be required to pay $125 million to resolve civil and criminal liability, according to the Boston US Attorney’s Office. The case against the pharmaceutical company is concerned with the illegal promotion of seven drugs. Payments were made to physicians to prescribe pharmaceuticals to patients over other drugs. This is of course not the first time such allegations have been made against drug firms, and nor is it the first time that pharmaceutical companies have been found to be liable. What makes this case different is the fact that charges have been filed against employees of Warner Chilcott and Warner Chilcott U.S. Sales LLC under HIPAA Rules. The case was possible under the False Claims Act, which permits private individuals to sue companies on behalf of the government under the Act’s whistleblower provisions. Two whistleblowers brought the case against the company and are being represented by law firms MoloLamken, Seeger Weiss, and the Simmer Law Group. The criminal charges filed against employees are for alleged HIPAA privacy violations, for unlawfully accessing and disclosing patient health records. The company also violated HIPAA Rules by submitting fraudulent prior authorization requests, thus avoiding Medicare and Medicaid formulary restrictions. Warner Chilcott is alleged to have bribed physicians over a period of four years between 2009 and 2013, and paid remuneration in exchange for them prescribing more patients with its drugs: Actonel®, Asacol®, Atelvia®, Doryx®, Enablex®, Estrace®, and Loestrin®. The guilty plea will see Warner Chilcott pay close to $125 million, with $22.94 million paid to settle the criminal charges. $91.5 million will be paid to the government, and $10.6 million to Medicaid to settle the civil charges. The whistleblowers will receive $22.9 million out of the government’s share of the civil settlement. A number of employees of the drug firm have been charged with violations of HIPAA Rules, in addition to conspiracy to commit healthcare fraud. District managers Jeffrey Podolsky, 49, of New York, and Timothy Garcia, 35, of California have already pled guilty to the charges, and Landon Eckles, 30, of North Carolina was charged with HIPAA violations last month. Paying physicians was a common practice. A number of physicians were provided with meals and given financial incentives at company “Medical Education Events.” The events are alleged not to have involved an educational component, and were used by Warner Chilcott executives to entice physicians to prescribe patients with the company’s pharmaceuticals, instead of those manufactured by rival companies. Speakers fees were also paid to prominent physicians even though they did not actually give talks at the events. Charges have also been filed against a physician, Rita Luthra, M.D., 64, of Longmeadow, Massachusetts for accepting payment for prescribing the company’s osteoporosis drugs. In her case she received speaker fees and free meals. Sales reps are alleged to have filled out prior authorization forms in doctor’s surgeries, and also to have done so at home; taking patient files out of the office for this purpose, which is a breach of the HIPAA Privacy Rule. Warner Chilcott President W. Carl Reichel has been charged with one count of conspiracy to pay kickbacks to doctors, and was recently arrested in Boston.